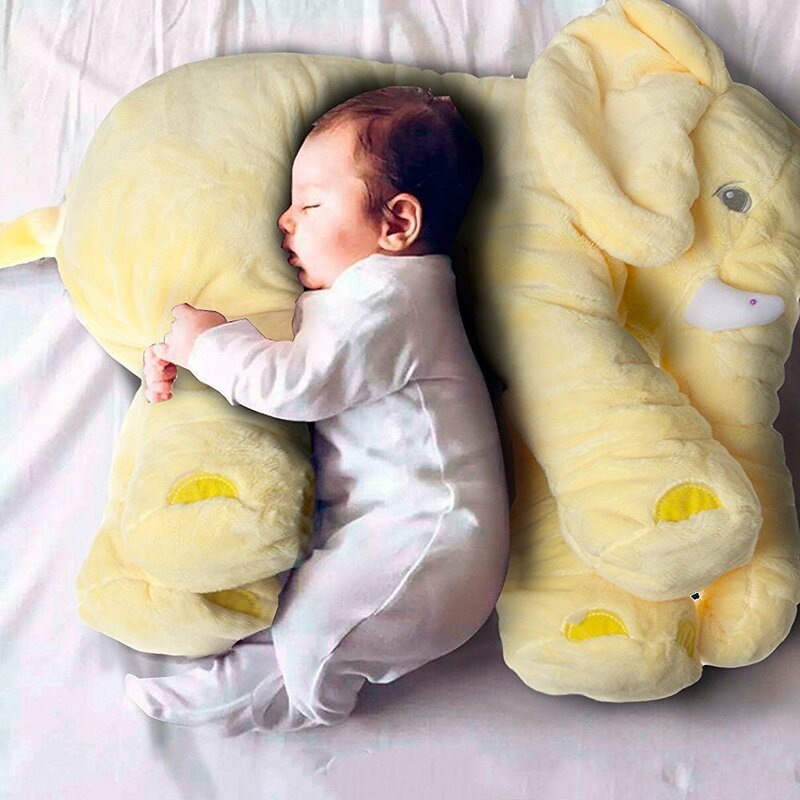 This pillow's coziness, warmth, and comfort will make your little one feel safe, relaxed, and right at home. Elephant is beautiful! Take 40 cm. Is good, does not stick, soft, very nice touch. The eyes are embroidered, all carefully. There is an elephant even tail tassel! It really can lie, as on the pillow. Full of good-not too tight, whereby the animal can be funny to plant. Baby Happy, I too. Recommend! Received within 14 days. detailed tracking. incredibly soft and comfortable material. there is no shortage. plan to order. seller recommend! Very nice and cute!!! Fast arrived in 1 month! Elephants are beautiful! Colors sliczne, shipment fast, well packed. RECOMMEND Salesman! Excellent elephant, a little different from the picture. Parcel tracking, make it pretty fast, less than a month. The photos after. Excellent Quality and material. Seller 100% recommended!! Elephant cool! Very fast shipping!! The first time is!! Thank you very much!! Super fast delivery. Thank You Very Much! IN general. Marriage is a small head elephant. Can be closed. Did not communicate, was not necessary. Acquired for 587р. Think expensive for a quality. But the kids will like it exactly. Very satisfied single is that little empty.. Elephant came exactly as the pictures, almost no smell, good vehicle. Super fast delivery. Elephant Super!!!! Recommend seller. Goods come quickly-for 12 days. Pillow toy fine quality, made good, no defects, packing is sufficient, foreign odors. Nice color. Very happy shopping. Recommend. Thank You very much! Elephant wonderful! Very high quality! Delivery fast, no problem! Recommend to everyone! Very happy! elephant soft, filler is enough, no smell, very nice, nice color, came for 2 weeks in Nalchik! 3 weeks to Kiev, the elephant is super cool!!! Don’t know if my child would adore it as much as I do!!! заказываем second time, the satisfied. пришёл челябинска order is up to 2. and recommend seller. free shipping figment was just Which description, free shipping Shipping to Argentina tardo 3 week! super Rapido!! Fast delivery (1 week), nice color, no smell! cute elephant. fast delivery. it is not solid what is sorry. Hermoso peluche. Tal cual se describe. Envío super rápido, se demoró solo 2 semanas. Excelente proveedor. 100% recomendado. Hermoso el elefante! llegó en tiempo y forma. Vendedor super recomendable! 15Pcs LED Light Up Balloons - Bring Excitement to Your Parties this Holiday Season!